Exquisite example of Abu's Glenwood Estates quality on prestigious lot in North Grafton just over the Westboro line. 9' ceilings! Rich cherry/granite/stainless Gourmet Kitchen with hardwood floors, Wolf 5 Burner cooktop, custom cherry vent hood, double Jennair wall ovens, Bosch dishwasher, expansive granite center island with second built-in oven. Tiled backsplash with under cab lighting. Huge dining area opens up to sun streamed vaulted cathedral skylit Family Room with custom brick fireplace accented by sconces, Abu signature moldings and archway. Welcoming Farmer's Porch entrance to tiled Mudroom and first floor Library/Study. 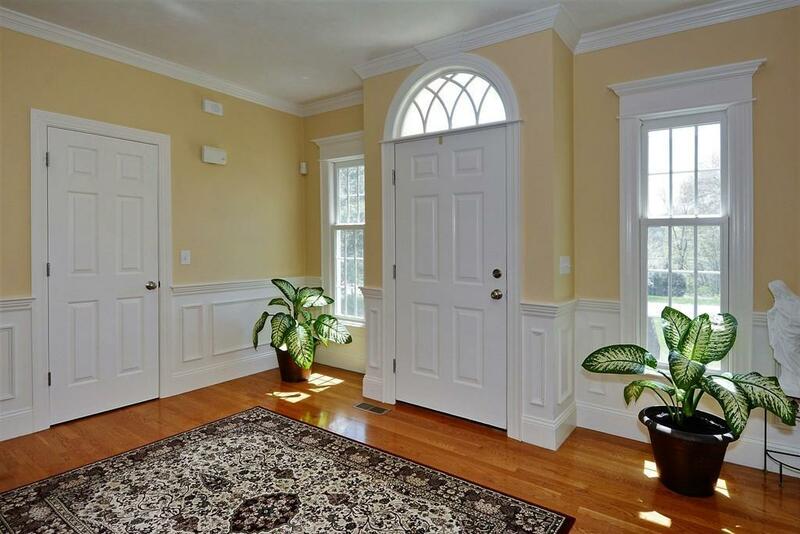 14x13 Foyer entry hall with hardwood floors and architectural window. Luxurious Master Bedroom Suite with cathedral ceiling skylit bath, whirlpool tub, granite counters w/double sinks and shower. Meticulously landscaped with irrigation system. Huge walkout basement ready to finish. New Hot Water heater. Easy commuting w/the T station less than 5 min away. Listing courtesy of Linda Tolman of Andrew J. Abu Inc., Realtorsâ®. Disclosures Room Sizes And Gla Approximate. Listing provided courtesy of Linda Tolman of Andrew J. Abu Inc., Realtorsâ®.